Learn to effectively teach close-reading skills in middle-school and high-school classrooms. Use literary analysis to increase students’ reading comprehension and critical thinking skills. Close-reading strategies help students develop the critical-thinking skills essential for the rest of their lives. 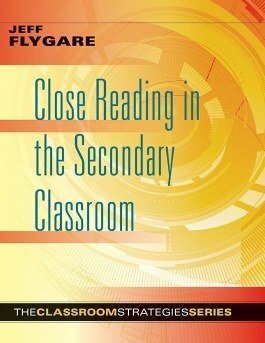 Close Reading in the Secondary Classroom offers high school and middle school educators extensive guidance on how to introduce close reading to students and help them improve their reading comprehension skills and critical thinking. Learn how to select close-reading examples and passages, elicit deeper question formation, facilitate positive classroom discussion, and assess your students’ reading comprehension and literacy progress. Understand the importance of close reading, prereading, and post-reading activities. Learn how to choose appropriate literary or informational texts for close reading. Pass on tools necessary for literary analysis and annotating text. Develop thought-provoking questions and discussion that deepen text analysis and reading comprehension. Assess students’ critical and creative thinking skills.